We explain what the Act covers, your rights, and what to do if you think your rights have been breached. Under the Consumer Guarantees Act (CGA), your consumer rights are expressed as a series of guarantees that a seller automatically makes to you when you buy any goods or services for personal use. In this guide, we explain what those rights are, and what to do if you think your rights have been breached. For advice specific to your situation, our members can contact our Consumer Advice Line. Our advisers will talk you through your rights and help you resolve problems with a retailer. The act covers goods (new and second-hand) and services ordinarily purchased for personal, domestic or household use. “Goods” include pretty much everything in and around the home – from appliances to vehicles, furniture to food. Gas, electricity, water and computer software are also covered. “Services” include things done by tradespeople such as plumbers and painters, professionals such as dentists and lawyers, after-sales and repair services from shops, and all the services you get from insurers, petrol stations and travel agents. In general, if you pay for it, it’s covered. The act also applies to goods you hire and to gifts. If you’re given something, you have the same rights as if you bought it yourself, and can seek redress directly for any problem. 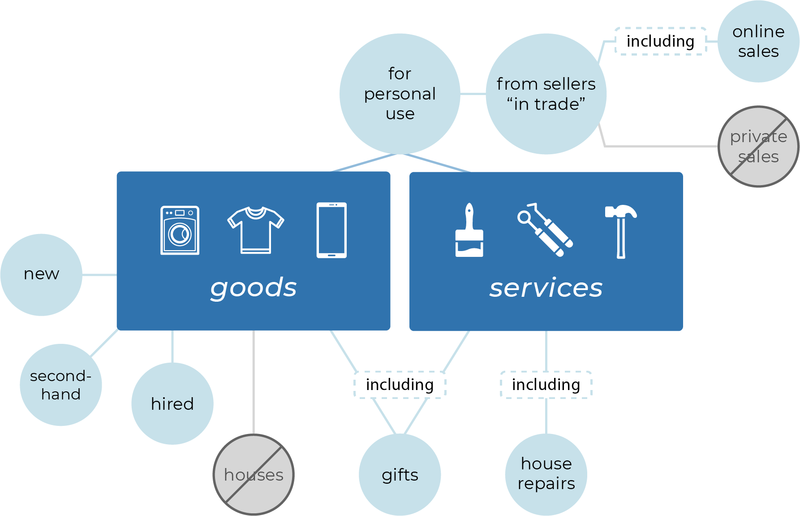 The act only applies if you buy goods or services from sellers “in trade”. This means it does not cover private sales. However, it does cover goods sold in second-hand shops, and goods sold over the internet by businesses trading here. The act does not cover the purchase of homes, although it does cover home repairs. Nor does it cover goods or services usually bought for commercial use, such as medical equipment or the installation of industrial machinery. Sellers cannot exempt themselves from their obligations under the act, even if they put it in a contract. So, if a retailer puts up a sign saying “no refunds or exchanges” it is meaningless. You still have full rights under the act. This also means guarantees and warranties cannot state “no consequential losses are covered”, because attempts to contract out of the act may mislead consumers about their rights. The Commerce Commission may use the Fair Trading Act to prosecute traders attempting to contract out of the act. Sellers can only contract out of the act when goods are used for business. When a product is ordinarily purchased for domestic use but is used for business purposes – such as a mobile phone – the act will allow a seller to contract out. Any contracting out must be done in writing at the point of sale. Under the act, your consumer rights are expressed as a series of “guarantees” a seller automatically makes to you when you buy any good or service ordinarily purchased for personal use. Be fit for a particular purpose that you asked about. Be delivered on time, where the supplier is responsible for delivery. When no time is agreed, delivery must still be within a reasonable time. Spare parts and repair facilities will be available for a reasonable time. They will honour any written warranty that comes with their products. Goods are of acceptable quality. Performed with reasonable care and skill. Fit for the particular purpose they were supplied. A reasonable price, if no price or pricing formula has been previously agreed. The act’s terms “reasonable” and “acceptable” are deliberately open-ended. It depends on what a reasonable consumer would think was acceptable based on the nature of the goods, the price, any statements that have been made about the goods, and the nature of the supplier and context in which the goods are supplied. A concert violin is required to meet a higher standard than a child’s cheap instrument. Ultimately a tribunal referee or a judge may have to decide what is reasonable or acceptable in the circumstances. If a defect was pointed out to you before you bought the good, then it doesn’t count towards making it unacceptable. If something goes wrong, you have the right to insist the seller fixes things. If the problem is minor, and can be fixed, the retailer can choose to either repair the item, replace it or give you a refund. Have it repaired elsewhere and recover the costs from the retailer, if it refuses to fix a faulty product, or fails to do so in a reasonable time. When you have the right to reject the goods, sellers cannot just offer a credit note. 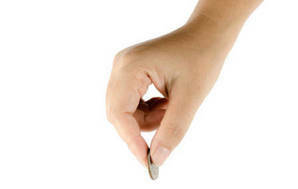 If you want a refund, you are entitled to it – by cash, cheque or credit card charge reversal. A reasonable consumer wouldn’t have bought the goods if they’d known about the fault. The goods are significantly different from their description, sample or demonstration model. The goods are substantially unfit for purpose. In addition to these rights, consumers may also claim for any reasonably foreseeable extra loss that results from the initial problem. If your new washing machine won’t work properly you can claim for laundry costs or the cost of hiring a replacement machine while the first one is being fixed. If you have to post or courier goods back to be repaired, you don’t have to pay for those costs. The compensation for consequential loss must put you back in the position you would have been in if the goods or service hadn’t been faulty. When a faulty product is replaced, any manufacturer’s warranty on the product usually runs only from the original purchase date. So, if a 6-month-old washing machine is replaced because it is faulty, and there was originally a 12-month manufacturer’s warranty on it, then this warranty will have 6 months to run on the new machine. However, the Consumer Guarantees Act applies to the replacement, so you will still have all the rights you’re entitled to when buying a new machine. If there is a problem with the retailer, you can complain to the manufacturer (if it has an office in New Zealand) or where the goods are imported, to the importer or distributor. Honour any express warranty they gave that gives the consumer greater protection than the act. Complaining to the manufacturer is useful when, for example, the retailer has gone out of business or is proving hopeless to deal with. But in most cases, it will be easier to insist on your rights directly with the retailer. If a product has parts made by different manufacturers, you can claim against any or all of them. However, in practice your best bet may be to contact the one whose name is on the product. If you’re buying a home appliance and the retailer offers you an extended warranty, don’t bother. You’d probably be paying for protection you’re already entitled to under consumer law, your home and contents insurance, or the manufacturer’s warranty. In some cases, the extended warranty offers less cover than you’re entitled to under the law. Our report on extended warranties explains the pitfalls. Our Consumer Advice Line helps with 4000 inquiries a year. Consumer advisers can explain your rights and help you resolve problems with a retailer or service provider. Consumer members have access to the service as part of their membership. Hi, I have an AA Branded battery in my partners car which is still under AA warranty, The battery is faulty and the AA have confirmed this and that the battery is under warranty but will not replace it as they require the proof of purchase which I do not have. Seems a bit unjust as this is clearly their product which they themselves admit is faulty and under warranty. I have had to buy a replacement (from another retailer) Do I have any rights to a resolution with the AA? If the transaction appears on a credit card or bank statement that can serve as proof of purchase. Did you use your AA card to get a discount? If so, AA should be able to track your purchase that way. You can also call our advisory service on 0800 266 786 if you need more help. If I am offered a replacement item of a different colour, can i refuse it? I have a faulty Samsung S8 in blue and they are offering me one in black as a replacement. I bought blue because I wanted blue - do I have to accept black? It depends on the nature of the fault, the type and age of the phone, and which retailer you bought it from. If it is a relatively new phone, it’s difficult to see why they wouldn’t have your desired colour available; if it’s older, they may no longer have it stocked. If it’s not possible to repair the fault or provide an adequate replacement, you’re entitled to request a full refund. For more specific advice, you’re welcome to call our free advice line (0800 CONSUMER). Kind regards, Frank – Consumer NZ staff. My phone is 3 years and 4 months old. I have spoke to Apple and they say that it is too old to be covered under Consumer Guarantee. This is a physical fault that was caused by design flow - which has been fixed in subsequent models. Do I have an claim under CGA ? Unfortunately, given that this particular fault only occurs when the phone is dropped or stressed multiple times, it’s unlikely it would be covered under the Consumer Guarantees Act. I have a Microsoft laptop/tablet that has been having a few issues. The item is still under warranty (unit is 15 months old with a 24 month warranty in like new condition), and after the Microsoft technician could not fix the problem, they offered a replacement, but said that it will be a refurbished unit. From what I understand, a refurbished unit is a formally faulty/second hand item that has been fixed up, so is this acceptable as a replacement device? Re: Refurbished unit for replacement? In our view, this is not an acceptable replacement. The Consumer Guarantees Act requires a replacement to be identical, and we don’t think refurbished or service units meet that legal test. When a product has a minor fault, the retailer can choose to repair or replace it, or provide a refund. If a replacement is provided, it must be identical. If it is a major fault, you can choose whether you’d like a refund or replacement. 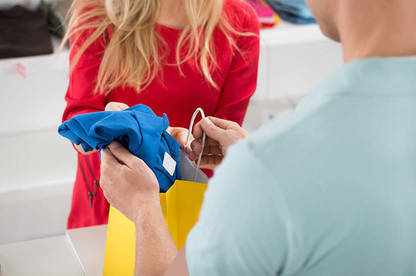 If you don’t believe the retailer is meeting their legal obligations, you can lodge a claim with the Disputes Tribunal. I bought tickets through Ticketmaster with a double-bill headline featuring 2 very prominent science educators. Subsequent to purchasing the tickets, one of the educators dropped out (and has vaguely promised to be replaced by someone else, but no advice who - 2 weeks prior to the event), but Ticketmaster are refusing to provide a refund, ignoring my assertion they are obliged to provide a refund in terms of the CGA, and pointing to their terms and conditions. The format of the event was to be a discussion between these 2 particular science educators. Would a change to one of the headline performers constitute "a fundamental change in the characteristics of the event"? Does the removal / substitution of a "headlining performer" and refusal to provide a refund constitute a breach of the CGA ? If the show was cancelled, you'd be entitled to a full refund on your ticket, plus any booking fee. As Richard Dawkins is still attending and the organisers are finding a substitution, it’s unlikely you can get a refund. You could try to resell the tickets to recoup costs if you no longer wanted to attend. Silage Bales purchased for farm use. Hi there, in Feb 2016 we purchased 100 large silage bales off our local contractor for use over the coming winter. He only ever delivered 50 saying that when we needed the rest just to give him a call. That winter ended up being very mild and we never needed the other 50 so we told our contractor we would use them the following season (2017) the bales will still be ok to use then. We then got an offer made on our farm in March 2017 and we asked our contractor what we should do about our outstanding bales and he said he would refund us so we agreed and moved to a smaller farm. From June 2017 to January 2018 we phoned once a month, followed the phone calls up with text messages, sent an email and a letter about our refund which we never received. One excuse was he was too busy to sort it out so we offered to collect them ourselves but he wouldn’t tell us where they were. His excuses would vary every time but he never said he couldn’t refund us and that we should come and get them. Getting too frustrated with him now we lodged the debt with Freeman Marshall to collect on our behalf and when they contacted him last month he said there had been some misunderstanding and that our bales where here (but we still don’t know where “here” was because we’ve never seen them) and that we needed to collect them ASAP. Now the bales are far too old to be used safely and the risk to our livestock and unborn calves is too high to risk using them. We did attempt to sell them but no one would buy them without his gaurentee of safety which he won’t give. He says he’s just the contractor and he is not responsible for the quality of grass that’s inside even though the invoice we paid was to his company only. Had we not originally agreed to a refund, we would have arranged our own shipping and either brought them with us to feed to our own stock or sold them on but despite asking, he would never tell us where they were and kept insisting our refund was imminent. Now he’s claiming we deserted them and we need to collect them asap but we still don’t know where they are, and that we are never getting our $5,500 back because he never agreed to a refund and we have no written proof he ever said that. I’ve since found out that it’s a very common occurrence with these contractors. They purposely put off delivering all the bales at once even though you’ve paid for them all upfront, and when their bailing season finishes (November) they give you the remanants of the bales that he couldn’t sell because they are of a terrible quality (bad grass, too many weeds, stones or foreign objects) and if we didn’t take them off his hands he would have to pay a lot of money to have them disposed of properly. So he gets top dollar for the product whic is worth nothing and he doesn’t have to pay for their proper disposal. Win Win for him. We have been farming all our lives and we know that Silage Bales have a shelf life, we hate waste too so we would never abandon them or forget about them, they’re worth thousands and I don’t know of anyone who would actively forget about being owed that much money, his argument just doesn’t make sense. We have booked a hearing at the disputes tribunal and we would like to get our money back but we would also accept 50 replacement bales with a written gaurentee from him that they a good quality and safe for stock. Do you think that’s fair? Do we any grounds under the CGA or any other act to make a successful claim at all? Re: Silage Bales purchased for farm use. One of our advisers has contacted you about this issue, but feel free call us on 0800 266 786 if you have any more questions. Your membership includes access to our advisory service. The Consumer Guarantees Act does not apply here as straw bales aren't normally purchased by domestic users (and the bales are for farming purposes). But the Sale of Goods Act may apply. I have purchased a new Mercedes Benz Glc43 in the last 7 days. When you turn the lock on the steering wheel it does this thing called crabbing. Apparently it is a common thing on the right hand drive c43 which we did not know about until now. This is a problem in numerous countries with many complaints but Mercedes are not accepting it as a fault with the vehicle. We are not happy with this and have requested to return the vehicle and get a full refund. Are we entitled to demand this? We’re not sure if this is a personal car – where the Consumer Guarantees Act applies and you can give the dealer the opportunity to resolve the problem - or a business car where the Consumer Guarantees Act may not apply. You are not entitled to return the car for a full refund. If crabbing is juddering at low speed when turning tightly, it is not grounds for rejection, and there are no recalls for this yet. It doesn’t affect safety or driving beyond making slow speed tight turns, but it’s probably annoying! You may be able to suggest that your dealer organises something similar for your vehicle. We are being or feeling we are being 'bullied' by our building company into paying in advance for goods and for services some of which have been proven to be faulty/substandard/incomplete and in other cases for goods that have been taken out of our contract by a signed variation (and these amount to $25000) yet the 'draw down' %'s and invoices never change. If we try to withhold these sums we are informed that the contract will me made void and that work will stop. They have been so poor in contracting people to complete the work that we have felt compelled to find people who will. eg our decks - in our contract signed 12 months ago and yet no one has been contracted to build them - so we have found someone who will and a signed variation has been signed to remove this from our contract. - This is a 'premium' building company according to their advertising in Northland. One of our advisers will be in touch for more information. i then took it into store was told they would test, received call 10 mins later they also had same fault in store, they were going to send it to manufacturer for further testing. i called them after 11 days they said that their head office found no fault so no repair work was done. can i get projector replaced or a refund? One of our advisers has called and spoken to you about your issue. If you're still having problems with the projector, we suggest taking it back to the store for a refund. Feel free to get in touch again on 0800 266 786 if you have any more questions. Postage costs for return of faulty item. Am I correct in reading the CGA that I should not need to provide return costs for my faulty item and that my costs in sending the item back should also be reimbursed? Re: Postage costs for return of faulty item. If you’re returning a faulty item which is covered by the Consumer Guarantees Act, this should not be at any cost to you and the retailer should reimburse you for the cost of postage. But the retailer can charge an initial assessment fee to inspect the item. If it’s found the faulty item is covered by the Consumer Guarantees Act, then you should be reimbursed for all costs. We’d recommend keeping copies of receipts including postage for returning the item. I'm writing this cautiously as it may be unfounded. However there are a number of organizations including farming cooperatives, that allow you, as a member to purchase on account and enjoy a discount. If you are purchasing a consumer item for consumer use, even on account, are you covered by CGA? We are a member of one of these groups and are not trading as a business, we have a small lifestyle block. I overheard that a large retailer was refusing to honour CGA as it deemed any item purchased on account to be for commercial use. I'd welcome some clarity on this and can provide more details. If this has been covered can you point me in the right direction, as the outcome may affect how we use the account/discount. The Consumer Guarantees Act applies to goods or services ordinarily purchased for personal use. We’d suggest checking the terms & conditions of your cooperative account and membership. If the account is to be used for commercial purposes only, the CGA may not apply to purchases on the account, even if they are for personal use and you aren’t trading as a business. It can also depend on the type of retailer you’ve purchased from. Retailers that normally sells goods for commercial use may have contracted out of the CGA. If you can provide more details we can look into this for you. You can send us more information online (https://www.consumer.org.nz/disputes/new), or feel free to call our advisers on 0800 266 786 between 9:30 - 4:00, Monday to Friday. Can a company demand ID as well as receipt for a return of goods? We recently returned a faulty skateboard to Kmart with it's receipt as proof of purchase. Store personnel required us to provide ID as well as the receipt before they would process the refund citing company policy. Can they do this with respect to the CGA? Re: Can a company demand ID as well as receipt for a return of goods? Store policy doesn’t override the Consumer Guarantees Act. Even without ID (which not everyone has), you still have rights to a refund under the CGA. Kmart has a change-of-mind returns policy which it can place terms & conditions on — the store may have confused this with the CGA. ID might be requested for several reasons, such as reducing the possibility of internal fraud by staff and stolen goods being returned, or someone else besides the original purchaser trying to claim a refund. Are products like bird repellants covered under the act? Re: Are products like bird repellants covered under the act? It might be difficult to get a refund under the Consumer Guarantees Act. We’d suggest contacting the Commerce Commission so it can get Pestgard to substantiate the product’s claims. Under the Fair Trading Act, retailers can’t make unsubstantiated representations about a good or service — they must have reasonable grounds for making any claim. Even though the goods are being shipped direct from overseas they were ordered as above. Can the CGA apply in this instance? Is this fair? Surely a warranty is about the item, not the purchase??? Whenever I have had to get a replacement, I have insisted on a new receipt, to ensure I get a full warranty, on the item. A warranty is about the purchase and not the item. The warranty is secondary to the Consumer Guarantees Act, which is what provides your real protection for faulty goods. I understand one of our advisers has been in touch about this issue. If you do have any more questions, feel free to give us a call on 0800 266 786 between 9:30 - 4:00, Monday to Friday. I need some advice on a dispute that I am having with a car dealer from whom I purchased a car from. After 1 month of purchasing the car I noticed that it had electrical faults where all electronics (lights, radio, dash display) would shut off intermittently and come back on again. I took it back to them and asked them to check it and they came back to me saying its a lose cable and they fixed it. two weeks later after getting it back from them it happened again so I took it back to them and they said they couldn't find any faults but they have changed the battery so it should be ok now. A couple of months later the same problem happened again and they had a look at it and said they could not find any faults and the car should be OK after they had done an electronic reset. A few months later the same problem happened again and they had a look at it and could not find a fault and suggested I take it to a Mitsubishi branch for a checkup. I took it there and it turns out that there is a major fault with the cars central computer system and needs replacement which is going to cost approximately $1500 to fix. Now they are refusing to pay for the fix or reimburse me for the money that I have spent to get it checked properly. I feel that since I took the vehicle back to them with this fault within the first 3 months of buying it the problem should have been sorted then. Due to the complacency or maybe even dishonesty of their mechanics (and them) they have constantly denied any faults with the car when there was a major fault. I trusted them enough to have a look at the same problem 4 times but I think my trust in them might have been misplaced.I have email, photo and video evidence of the fault, their diagnosis each time and of all the contact I have had with them since the beginning of this issue. I need some advice on this matter please. What are my rights as a consumer and is there anything I can do to ensure I don't have to pay for a fault that is not of my own. I understand you've spoken to one of our advisers about this issue. If you'd like more advice, feel free to give us a bell on 0800 266 786 between 9:30 - 4:00, Monday to Friday. Your membership includes this. I bought a twin pack of Uniden adventure walkie-talkie's for my husband's birthday in July. They were advertised as good for hunting, skiing, tramping ect with a up to 10km range. I checked the actual Uniden site and they say that they are great for all outdoor sports etc. Anyway, my husband has tried on 2 occasion's to use them on Mount Ruapehu skiing and they were less than useless. We thought it might be because of the rocks, so he took it up on the ski field, got a mate to ski down the hill (still in line of sight) and they became intermittent and one of the units battery dropped charge to half within 2 minutes. We tested them across a school field, they worked for approx 1 minute and then went intermittent and useless again. I took them back to my local Noel Leeming (where I picked them up from after ordering online), they took them in the 30th August and sent them to be repaired. We got them back again today, the repair sheet stated that a battery fault was detected and they replaced that, but no other issues were found. We stopped to pick up dinner and my husband in the car, my daughter in the shop next to me using the units...they lasted about 2 minutes before my daughter's handset went blank, the battery meter flashed and it crapped out again. My husband was less that 10metres away. He phoned Noel Leeming there and then, and the customer service rep said; that they would need to take the units back again to be looked at and that through Uniden, they don't offer refunds only repairs. Can they do this? Surely I bought the units from Noel Leeming so they can't say that they aren't allowed to give refunds on Uniden products? These units are not fit for purpose, my husband doesn't trust them to take hunting or adventure sports and so we want a refund...can we ask for that or do they need to be sent off again? Yes, it seems like you would have the right to request a refund from the retailer in this situation. Our advisers can walk you through this and provide more detailed advice – this is included in your membership. Feel free to give us a call on 0800 266 786 to discuss. I just bought a Japanese second hand vehicle from olgo motors in Christchurch. It's a Toyota wish 2005 model I paid $7000 for it. Just less than three months old, today it wouldn't start. I won't have any transport or spare cash to have it fixed. Starting to feel misled into believing it's a reliable car. Any suggestions on how to get the dealer fix it up would be appreciated. I understand one of our advisers has been in touch about this issue. If you do have any more questions, feel free to give our advisers a bell on 0800 266 786 between 9:30 - 4:00, Monday to Friday. Your membership includes this. In your advice you say the cga depends on the price paid. What does that mean? If it was on sale (like everything always is at Briscoes) does it not count? The price is one factor when considering if goods have met the guarantee of acceptable quality. Low-priced goods and sale goods still have to meet this. It depends on what a reasonable consumer would think was acceptable, based on the nature of the goods, the price, any statements that have been made about the goods, and the nature of the supplier and context in which the goods are supplied. Products that are expensive are expected to be of better quality than products that are very cheap. If you’d like, feel free to give our advisers a call on 0800 266 786 between 9:30 - 4:00, Monday to Friday. They can walk you through this. We have just tried to return a faulty toaster to Noel Leeming and were told that because we have closed the credit card account that we used to pay for the toaster they can only give us a store credit. My reading of this article is that we can choose cash, cheque or credit card card reversal. Am I correct or is Noel Leeming? Officially they are meant to refund in the same way the transaction was made. However, because that's not possible in this case, you'll need to negotiate with them if you're not happy with store credit. As you're a paying member, you're welcome to contact our advisor team if you want more help with this or future issues. They're available on 0800 266 786 between 9.30am-4pm, Monday to Friday. I took my car for service. A 2005 Nissan XTrail (Black) to the AA Auto Service and Repair in Manukau. They performed a Bronze Service and 12 months WOF. I paid $641.50 at the end. After five days my car had a problem while driving on the highway. It was towed that night. Nxt morning I took it back to the garage and they said the car is ok only one fault maybe caused by over heating. I drove my car back home. I did not use after that. Next morning I turned my car on and drove down the road. I heard the same problem then went back home. I rang the workshop and said to bring it in the following day. I arrived at the workshop at 8.30am and they re scheduled me for 2 oclock in the afternoon. I drove back home again. At 2pm I arrived at the workshop and they checked my car. He came back saying the head gasket is blown. I dont know what it is. I said I want my car fixed. They quoted $4,700 to fix the part. I nearly had a heart attack. What? I came here with my car for a service and there was nothing wrong with my car when I brought it and you are telling me to fix for $4,700. NO! No! This is not right. There is something wrong here mate. Ill take my car back. He said to get a second opinion. The other two workshops I visited for their opinions suggested options they should be done to prevent what is happening. My car ended with the hose burst while Im on the road seeking legal advice. OMG please help. It is just at the workshop for a day now. They haven't fixed it because I don't know who is going to pay for it. I understand you've called our advisers and they're helping you with this issue. Please feel free to let us know if you need any more help. I bought a used car 2 months ago. I was notified that the air con wasn't working so i didn't bother going to get it fixed until I could afford it since it wasn't a top priority. Took it in to be re gassed the mechanic told me it's not the air con it's the heating system that was broken. Cost me $460.00 to fix when I was told when I bought it it was working. I have the check list to prove that the heater is ticked and the air con says not working. Emailed the sales manager and he said that "From the dealers perspective you were clearly notified that there was an issue with the vehicles air-conditioning system; an air-conditioning system is for controlling the humidity, ventilation, and temperature in a vehicle (not just the cold air)"
But the air con did work it was the heater that was broken. re: Bought a used car. I've been informed that one of our advisers has been in touch about this issue. If you do have any more questions, please feel free to give our advisers a bell on 0800 266 786 between 9:30 - 4:00, Monday to Friday. They're happy to help. I purchased a dresser in February 2015. Recently I noticed the top had started to crack. I contacted the retailer 13 months after purchase (1 month outside of warranty) to advise the problem. The store have advised that they wont repair or replace. What are my rights under the Act? Feel free to give our advisers a bell on 0800 266 786 between 9:30 - 4:00, Monday to Friday. They can walk you through this. I purchased a mountain bike last August and used it to November when i found the frame cracked and stopped riding it and informed the supplier. They accepted the claim and said they would have a replacement in Feb this year. I emailed them in march to ask what was going on where they informed me that I needed to send my bike back and the loan bike back to them before they could address it. At this time I found out that they were only prepared to replace the frame - I would like my money back - am I entitled to have my money back? They are saying that it is up to them to decide what they do and not anything to do with me. I would view the frame as a major/substantial part of the bike. Any help would be most appreciated. Yes, the Consumer Guarantees Act applies and the bike has to be fixed within a reasonable time. It is now 4 months and the frame has not been replaced or repaired. So from what you say, you would be entitled to reject the bike and ask for a full refund. Hi Bill, one of our advisers will give you a call to discuss your issue. Your rights will depend on a number of factors, including whether it was bought in a personal or business name, where it was bought from and what the fault is. Kind regards, Kate - Consumer NZ staff. In August 2015 I purchased a Samsung Ace 4 Lite mobile phone from Noel Leeming. In the 3 months following purchase I experienced 3 different faults with the phone. When I took it back to the shop the sales assistant informed me that unless the fault could be proven they were under no obligation under the Consumer Guarantees Act. I queried this with Consumer NZ's advisory line and, sure enough, I was advised that the sales assistant was correct. Therefore if you have an intermittent fault which cannot be immediately replicated, legally the item is deemed not to have a fault. I have just re-read the information article on Consumer NZ website concerning Consumer Guarantees Act. I think it would be helpful to update the information article to cover the issue of faults needing to be proven and the position a consumer is in if their product has an intermittent fault. Hi would appreciate consideration given to a table, clearly labelled as a guide and not the final word on the matter, with duration of time for which it's reasonable to get vendor to refund/replace/fix under CGA. Maybe anchored to price of item e.g. fridge, $1500, 5 years. Most people I have spoken to have zero or minimal awareness of the Act or its provisions and so are ill-equipped to negotiate. Some support such as proposed here would be extremely helpful. Maybe it could incorporate the type of information I saw in an Ausralian publication, detailing the reasonable expectations for different categories of goods. I purchased a Samsung Fridge/Freezer from BOND+BOND now Noel Leeming in 28/12/09. I also purchased an SMARTCOVER extra 5 year warranty from the store, which should take me to 7 years including 2 years manufacturer warranty expiry date 2//12/16. Yesterday Fridge stop cooling so wife called SMARTCOVER and they say it out of warranty last year. Then I called and they said that the 5 years extra warranty includes the 2 years manufacturer warranty and I'm not covered. That doesn't sound right. So what they telling me I paid only for 3 years not 5 years. But i looked at my invoice it says Fridge 2years paid and 5yr warranty paid . Also when i called them back they said they don't do 7 year warranties but when i look at the documents from them it says they do 2,3,5 or 7 years. Will you help on this issue on what can I do. I understand you've called our advisers and they've sorted out the problem. Please feel free to let us know if you need any more help. I have got a garage door installed at my house and had a problem with it as it doesn't seal properly. The installer came and took a look and decided the whole door needs to be changed, they did that but did not install it correctly with extremely bad workmanship. I pointed the issues I was able to pick up, they came and rectified, after sometime, the same door sealing issues happened and they promised to rectify, meanwhile I notice that one of the panels are damaged (which I did not pick up in the first time I checked after replacing the door and it is very clear it is a damage due to installation). I highlighted the matter to the installer and now he wants to charge me 500+gst for that! Does the Consumer Guarantee Act protect cover this ? Thanks for your comment. Yes, it seems like the CGA would protect you in this situation. Our advisers can give you more detailed advice at no charge – this is included in your membership. If you'd like, give us a call on 0800 266 786 to discuss. Emily - Consumer NZ staff. I have a query about the large number of online sales stores stating that their warranties are a "return to base" warranty, meaning if there is a fault with the product the consumer must pay to have it returned. I have been in this situation a few times in the recent past where the product purchased has been faulty upon arrival and the seller has refused to pay the shipping cost to get the product back. I gave in after a few emails back and forth but still don't see why I should have to pay additional freight costs to return a product which was damaged through no fault of my own. Is there anything in the consumer guarantees act which can provide some guidance on this unfair, but increasingly common, online sales policy? Thanks, Troy. Unfortunately, if you are using a store’s return to base warranty then you are bound by its terms and conditions. But if an item is faulty and if you have bought from a New Zealand company, then I’d suggest you use the Consumer Guarantees Act. A store can still usually get you to send the item back to them for assessment at your own expense. But if the item is faulty then the post/assessment fee is reimbursed and the item is repaired/replaced or your money refunded. My son bought a car last November from a car dealer. The fuel pump has just gone and it is going to cost $3340 to repair. Would this problem be covered under the consumers guarantee act. We have approached him and he wasn't too interested but did put us on to his mechanic who said we could put cheap parts in to keep the cost down. Do we have rights? Thanks, Sue. While it's possible that the Act will offer you protection, we will need more information in order to determine your rights in this situation. Since you're a Silver member, you're able to call our advisory service (no added charge) on 0800 266 786. They'll be able to talk through the situation with you and give you personalised advice. •	Claim compensation for any drop in the value of the product or service. The refund would be of the original price you paid – and no, you do not have to accept a credit note. No money is deducted for use of the product. If you'd like any more advice, feel free to call our advisory service on 0800 266 786. Does the Act cover gift vouchers, specifically rights on part used vouchers? Ie Can the store refuse to allow part spends? Hi Keri, we'd need to know a little bit more information to give you advice on this. Because you are a paying member, you are welcome to contact our advisory service. Thanks, Kate - Consumer NZ staff. Does the CGA covers goods purchased overseas from a supplier that also do business in NZ? Take for example, if you can purchase an Apple iPhone from Japan while on your holiday, are you coverd by the CGA when you bring it back to NZ for personal use? while the phone is sold by Apple Japan, they are all manufactured by Apple, and Apple NZ does business in NZ. Re: Does the CGA covers goods purchased overseas from a supplier that also do business in NZ? The CGA does not cover goods purchased overseas. If the goods have an international warranty, they may be covered under that - you'd need to check the terms and conditions. Richard - Consumer NZ staff. Putting it right, what would be considered a "reasonable time?" Re: Putting it right, what would be considered a "reasonable time?" A 'reasonable time' would usually be a month, but obviously this can vary depending on the product eg if it's European it may take longer to get spare parts. Three months is definitely too long to be waiting for your phone though - we suggest asking for a full refund. After making an enquiry where can you view any comments? New to site. Which enquiry are you referring to? If you've made a comment on an article, any replies will appear on the sidebar (accessible by clicking the 'comments' button on the right side of the page).